Just published for pre-order! 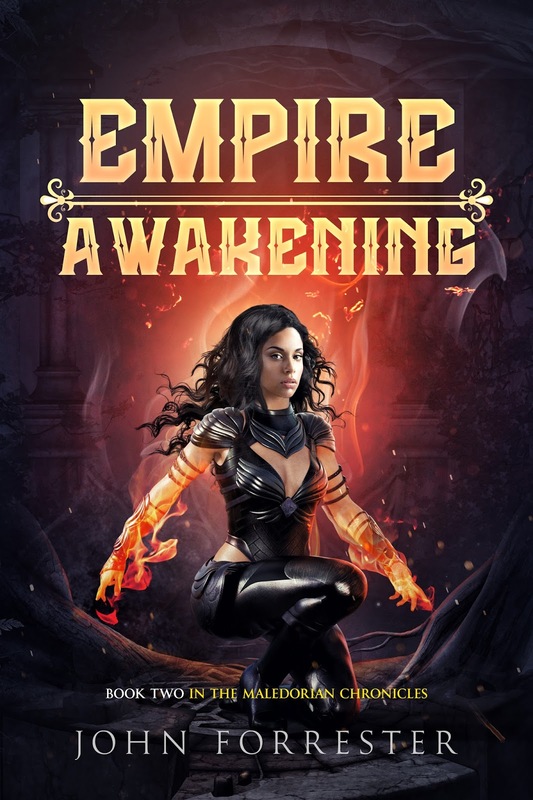 Empire Awakening, Book 2 in the Maledorian Chronicles series. It will be available on March 6th. Lady Elendria Orensal escapes the city of Criswall from the chaos of the cultists of Ba’al. Madam Lassengre has promised to take Elendria and her friends to a coven of witches in the Great Barrier Mountains, where Elendria can grow her magical power. She must prepare for the coming fight between an army of giant magical constructs and the armies of men. Prince Jondran Damensar fights in the south against the Kingdom of Jalinfaer. Arcturius, the wizard, warns him of a cultist uprising in the capital. But he cannot go north despite discovering the king is imprisoned. For the battle to be won, he must forge an alliance between old enemies to defeat new foes. When Elendria joins the prince in the struggle against the cultists, he must choose between his growing love for her and his sworn duty to his kingdom. For Elendria, it is a choice between family and the promise of a new empire and upholding the old ways of kings and nobles.